Also known as the golden poison arrow frog, this little amphibian is the most dangerous frog in the world, with each one holding enough poison to kill at least 10 men. They only grow to around 2 inches in length, but are easily spotted due to their bright yellow colouring, although they can also be orange or green. There is only a surprisingly small population left in the wild, in a tiny area of rainforest in Colombia, and the local tribes use the frogs poison on the tips of their darts when hunting – hence their name. 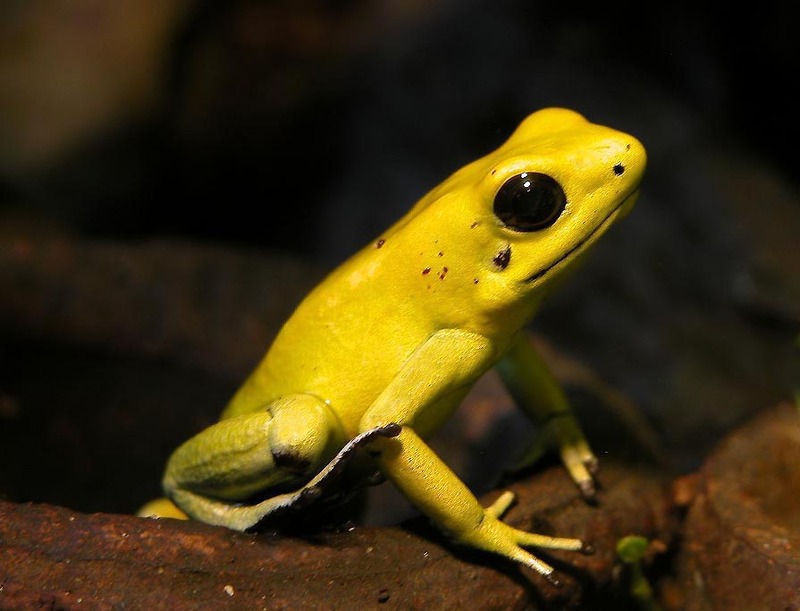 The frogs get their poison from their diet of small insects, but scientists are unsure where exactly in the food chain the toxin originates, as golden poison dart frogs are never poisonous in captivity. Don’t be fooled by their cute appearance! The largest of South America’s big cats, jaguars are mainly found in the Amazon basin and are considered the most dangerous mammal on the continent. An adult can weigh over 100kg, and they are fearless predators. They can reach speeds of 50mph, are excellent climbers, and, unlike many big cats, they are good swimmers too. Their diet is incredibly varied, and in the Amazon rainforest they will literally eat anything that moves! 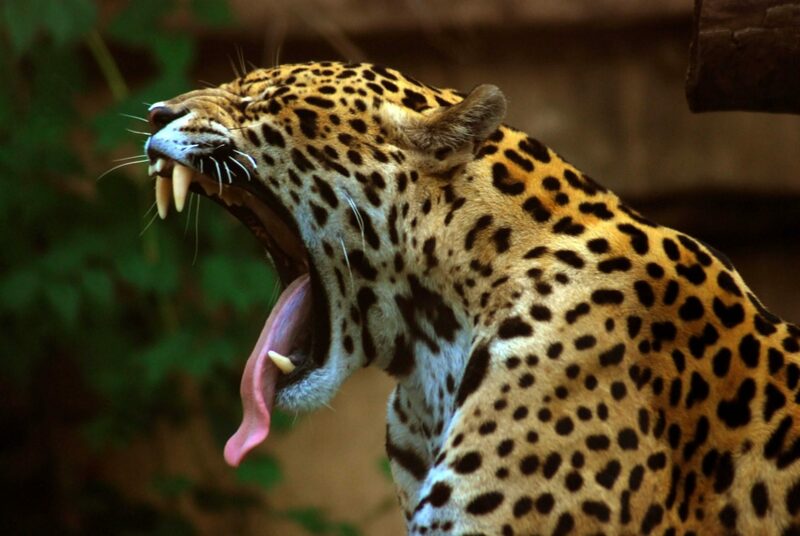 Jaguars even eat larger animals such as crocodiles, deers, and capybaras, which is why they are considered so dangerous to humans, although they are notoriously difficult to spot in the wild due to their camouflaged coats. The pelts of these beautiful animals are still illegally hunted, and they are now at risk of extinction. 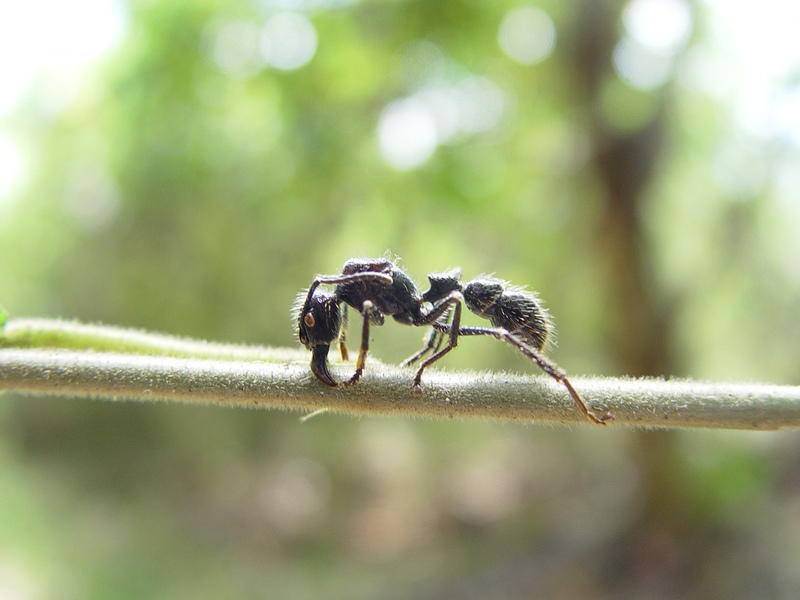 The tiny bullet ant might look harmless enough, but it gives the most painful sting of any insect, lasting up to 24 hours and often compared to being shot – hence the name! The ants are wide spread in the Amazon Rainforest, where one little-known tribe uses them in an initiation of young men into adulthood. Gloves made of leaves are filled with hundreds of bullet ants and then worn during the initiation ceremony, which takes around 10 minutes. The pain causes paralysis of the lower limbs, extreme shaking, and an intense burning sensation, but is localized and doesn’t affect the vital organs, so a sting isn’t fatal. The black caiman is one of the largest and most dangerous animals in South America and the largest species of caiman, growing up to 20 feet in length. Little is known about these giant predators, and they were once hunted to near extinction, but their population is now healthy in Amazon basin where they are found. They are the largest predator in the Amazon Rainforest and will attack any mammal within reach, as well as feeding on fish, turtles, and birds. 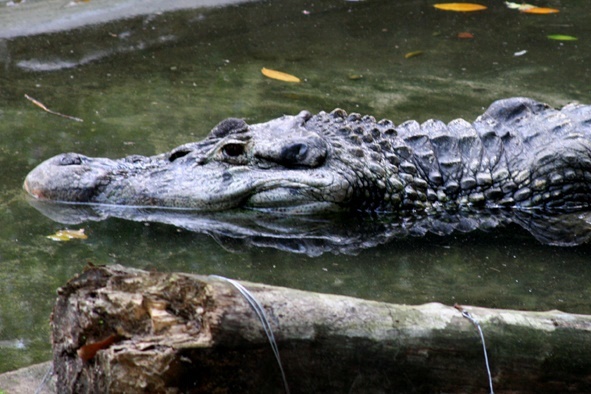 The black caiman is a nocturnal hunter, and its dark colouring means it is well camouflaged, especially in water. It’s rare for humans to accidentally come into contact with them without entering the water. The Brazilian wandering spider, or banana spider, is the world’s most dangerous arachnid, found in the Amazon jungle. The spider’s scientific name, Phoneutria, means “murderess” in Greek, and they carry enough venom to kill an adult with a single bite, although anti-venom means fatalities are rare now. 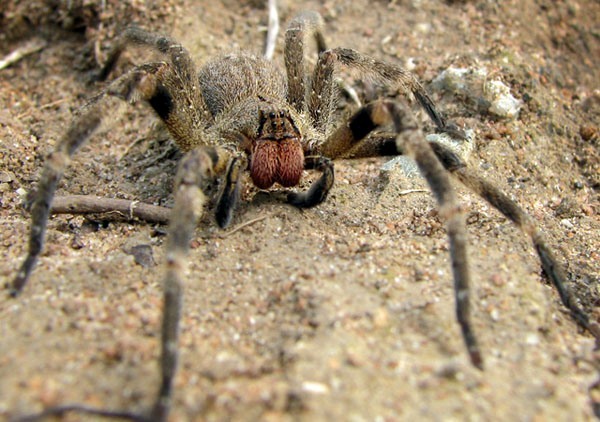 The Brazilian wandering spider is hairy and brown, with a body of 2 inches in length and a leg-span of over 6 inches. They get their name from their hunting style which differs from most arachnids. Rather than building webs to catch their prey, they roam the forest floor at night and attack other spiders and insects. For this reason they are considered extremely aggressive, and will rear back when approached, although this is actually a defence mechanism. 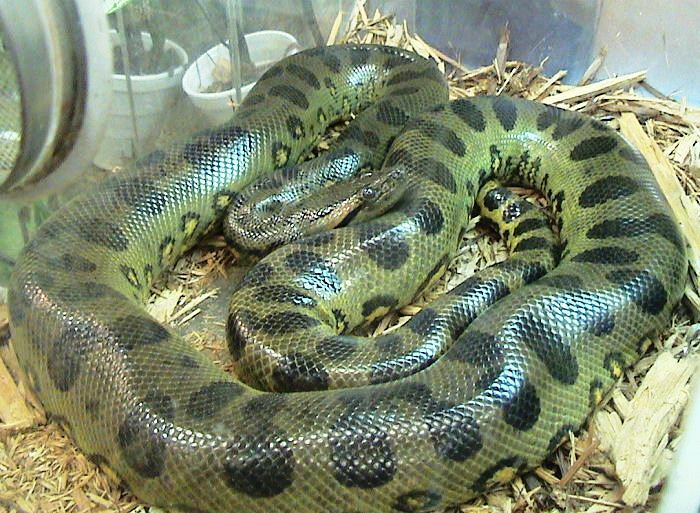 The green anaconda is the world’s largest snake, and can grow to over 30 feet long (over 9 metres) and weigh over 550 pounds! As they are non-venomous many people take for granted the fact that even a young snake can easily kill a human. They are the strongest constrictors in the world, and kill their prey slowly by asphyxiation. Their jaws are attached by ligaments rather than bones, which means they can swallow their dinner whole and can eat most large mammals also found in the Amazon rainforest. Green anacondas lay in swampy marshes and streams waiting for their prey, and only need to eat every few months if they get big enough meals. Previous post Solo or Guided Tours in Peru? 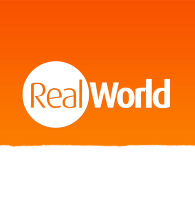 Next post Land Based Galapagos Tours, or a Traditional Cruise? I had to double check those green anaconda stats. 30** feet, not 300 feet. You’re quite right, Tara – well spotted! We’ve fixed it now, but thanks for pointing that out. A 300ft Anaconda would be… terrifying!